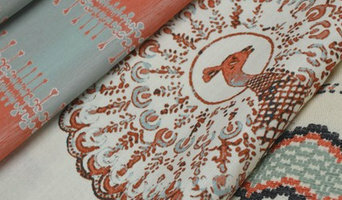 Duralee is a To The Trade company that provides fabric, furniture and trim to the interior design community. We invite everyone to explore the products we have to offer. Providing quality Artisan Upholstery & Drapery since 1998. 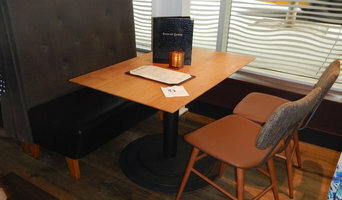 QA Group, located in Seattle WA, offers industry-leading, full service refinishing, re-upholstery, custom made furniture and window coverings to all major commercial markets; including hospitality, hotels, healthcare, architects and designers, government, marine, senior living, and educational markets. Longevity and Reliability – Established in 1936, our company has earned its industry leading reputation for engaging dedicated teams of artisans and craftsman, who provide the attention and level of detail to every project that our clients have relied on for over 80 years. You can count on QA Group to be your most trusted partner for your project – from the everyday to the most complex of designs. We are happy to serve Seattle, Bellevue, Burien, Edmonds, Everett, Kirkland, Redmond, Renton, Shoreline, Tacoma and the surrounding areas. Established on the top of Queen Anne Hill in 1936, Queen Anne Upholstery combines the excellence of old world craftsmanship with innovative, modern service you can count on. We are proud to be family owned and operated. Our Mission Queen Anne’s mission is to protect, create, and restore your most precious treasures. We enrich the lives of our customers by enhancing their environments with utmost care and attention. We achieve this by consistently delivering world-class service and distinctive quality, going above and beyond to exceed the expectations of each and every customer. Our Vision Queen Anne strives to be the trusted industry leader, and hands-down customer favorite, in the Pacific Northwest and beyond. Our Values Service is at the heart of all we do. With a sharp focus on the individual needs of our customers, we work hard to anticipate your wishes and exceed your expectations—every time. Integrity is essential to our operation. Our local roots run deep, and trust keeps them strong. Honesty is essential to every aspect of our business. Quality is our total commitment. We provide products and services with market-leading selection of designer fabrics. 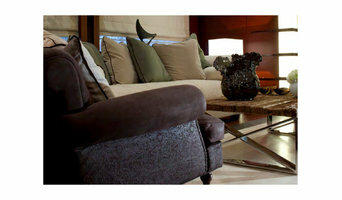 Choose Queen Anne Upholstery for all your upholstery needs. Since 1983 Bellevue Eastside Upholstery (AKA Sparks Interiors) has been offering furniture reupholstery, custom furniture, window treatments, and custom bedding to the greater Seattle area. We are an affordable window covering team that works for you and any budget! With a finished product that is quality. I am a business owner that has been in the window covering business for over 30 years (how time flies!) Over the years I feel I've put together some of the best Seattle has to offer. From simple to formal to classic. If your room just needs pillows, throws or area rugs or a couple of accent walls, we can do it. Funiture recovered, draperies, sheers, natural shades and roman shades. For your home, condo or vacation home. Highly prized for their exceptional quality and spectacular range of contemporary and high-tech constructions, Glant textiles are found in the most discriminating and beautifully designed international installations, including homes, hotels, restaurants, private aircraft and yachts. As Seattle's largest furniture reupholstery and refinishing facility, combined with our industry leading customer service, we have become the preferred choice for Seattle and Bellevue's premier homes, hotels, restaurants, health clubs, fitness centers, hospitals, and clinics. We offer mobile service and the fastest turn-around available. When you want your antique furniture restoration or furniture repair project done correctly the first time, on schedule and on budget, Queen Anne will deliver! Design Craft Upholstery specializes in furniture reupholstering and furniture restoration in Lynnwood, Washington, Seattle and the surrounding areas. From wood, leather, and cloth to many other materials, each piece is treated as a unique work of art. Working carefully and meticulously on each piece, my wife, Shelley, and I restore classic furniture masterpieces and antiques to their original beauty, structure and integrity. Modern, mass-produced furniture items do not hold up aesthetically or physically to the high standards that real craftsmen put into their pieces. With furniture reupholstering and furniture restoration services in Lynnwood, we can create and restore pieces with character and depth. While modern furniture uses cheap materials and repetitive processes, classic pieces and antiques use extraordinary craftsmanship to make furniture that stands the test of time. We work to restore these pieces and heal damage that has detracted from their beauty, uniqueness and strength. We strip pieces as needed that have been scratched or badly refinished, re-glue, reinforce and replace parts that have been damaged, replace padding, fabrics and more. We also build custom furniture with the same level of personal craftsmanship and detail that we use to restore our pieces. All custom furniture pieces can be individually styled to meet your specifications, including colors, frame, shape, height and more. Re-upholstery/upholstery repair includes redoing/outfitting items like chairs and sofas with springs, padding and fabric coverings. This can also include adding fringe, piping, tufting or additional decorative elements to a furniture piece. They can also advise you about the pros and cons of different fabrics so you can choose the best type for the project in your Lake Forest Park home. Many furniture repair professionals work directly with interior designers and decorators, custom designing or re-covering furniture for home decor projects. Here are some related professionals and vendors to complement the work of furniture repair: . Find Lake Forest Park furniture repair professionals on Houzz. 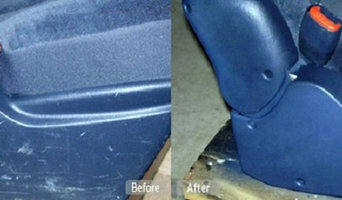 Narrow your search in the Professionals section of the website to Lake Forest Park, WA furniture repair.